Election fraud in BiH uncovered? 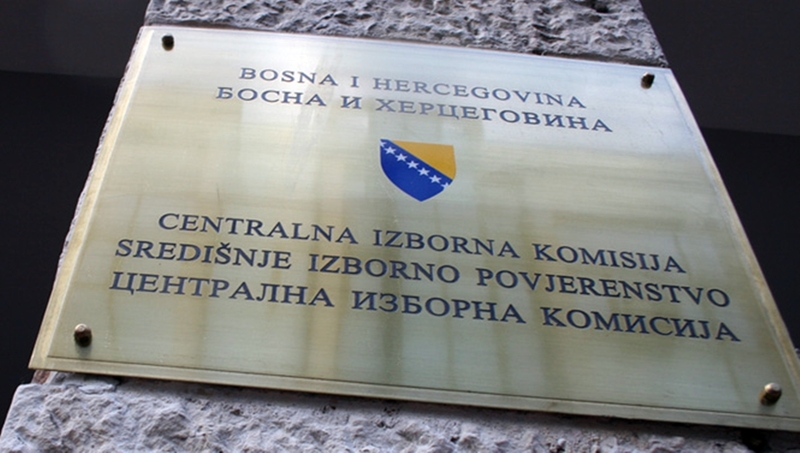 The Central Election Commission of Bosnia and Herzegovina (CEC BiH) rejected the entry into the excerpt from the Central Voter List for voting outside BiH for 9 136 voters, because they were not fulfilled by the statutory requirements (lack of proof of identity, lack of proof of citizenship, lack of evidence about residence, illegible applications, etc.) or a greater number of applications (7 and more) contain an identical address abroad. “Continuously in all of publications CEC BiH points to the reasonable suspicion that in the process of registering voters outside BiH cases of forged signatures and misused personal documents were found”, the CEC BiH states in a press release. The highest authority for election process in BiH again urge on voters to check the status of their registration on the website of the Central Election Commission of BiH under the link “Are you registered”, or in some of the other manners. “The Central Election Commission of BiH shall submit complete information on the possible commission of a criminal offense in the procedure of registering voters outside BiH with supporting documents, to the competent prosecutor’s office. So far, voters, some police authorities and some municipal / city election commissions have been informed about the possible perpetration of the criminal offense (about 150 cases). Most of this information relate to the municipalities of VelikaKladuša, Modriča and Orašje,” stressed CEC BiH. One of the victim of this fraud was Anel Kajtezović, from Bihać, who checked his voters status and received information that he lives in Austria and that he has already voted. “I found that someone registered me as living in Austria, in a suburb of Linz, with a person named Ožegović Fadil. Also, everything was registered, all the documentation was sent, that person or someone from that family voted instead of me”, Kajtezović told the media, adding that he was in BiH the whole time. He reported the issue to CEC BiH and they answered that a person from Velika Kladuša has registered him with an old identification document that the institution accepted as valid until the year 2020. But, Kajtezović changed his identification document in 2013 because he had changed his place of residence. The Interior Ministry confirmed to him that the old ID is not valid anymore. “People who don’t vote could never uncover these kinds of fraud. Had I not asked for information on which polling station I am voting at, I would never have found out that someone already voted for me”, he said. Abid Dudić is facing a similar problem. He is registered as living with his wife in Novi Zvornik, western Serbia, even though he never lived in the neighbouring country. “I once lost a driver’s license, exactly at the crossing between Mali Zvornik (u Srbiji) and VelikiZvornik (in BiH). I don’t know if that is something significant, but I never lived in Serbia, and I was never registered as living anywhere else”, he said.